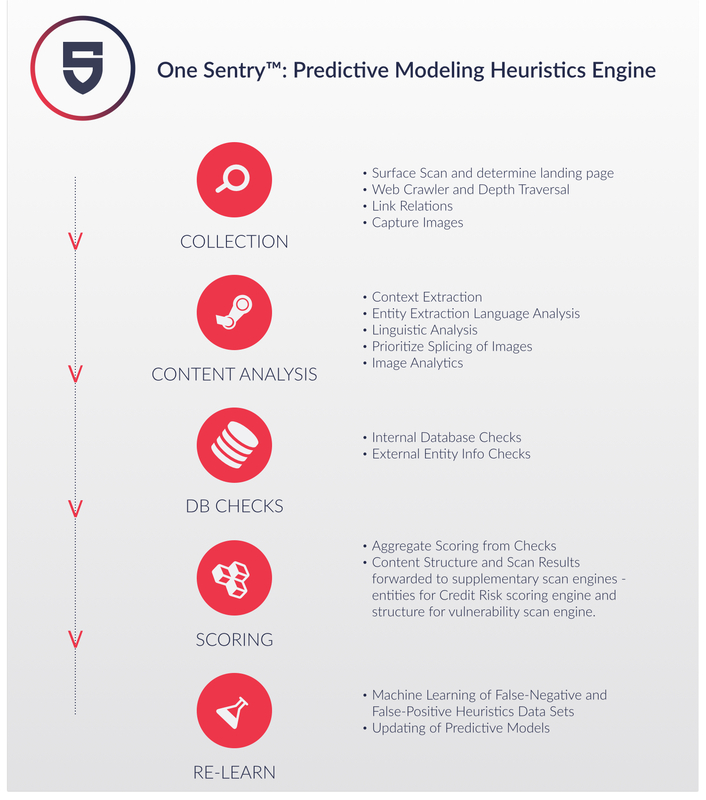 Our predictive modeling web heuristics research technology is currently used as part of our One Sentry Merchant Risk Monitor product to identify potentially bad merchant websites. This technology allows us to predict possible bad merchants without needing to rely on retroactive knowledge. Our analytics is based on a propreitary algorithm that uses both Naive Bayes classifier and Random Forest models to derive results. A 5-step methodological approach is employed to analyse any given content in order to predict an outcome. Site Scraping (Web Crawler) tech is completely developed in-house and is built using a dynamic parsing platform allowing distributed collection of information. We also use a self-developed processing engine to combat “anti-bot” mechanisms.